Piran, F., Hosseinzadeh Lotfi, F., Rostami-Malkhalifeh, M. (2013). Data Envelopment Analysis Based on MPSS Efficient and Inefficient Frontiers. 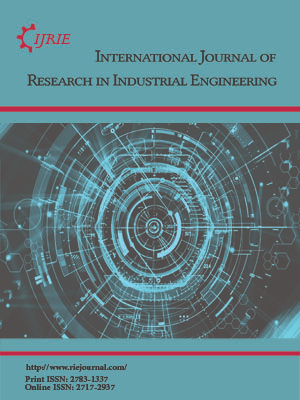 International Journal of Research in Industrial Engineering, 2(4), 15-25. F. Piran; F Hosseinzadeh Lotfi; M. Rostami-Malkhalifeh. "Data Envelopment Analysis Based on MPSS Efficient and Inefficient Frontiers". International Journal of Research in Industrial Engineering, 2, 4, 2013, 15-25. Piran, F., Hosseinzadeh Lotfi, F., Rostami-Malkhalifeh, M. (2013). 'Data Envelopment Analysis Based on MPSS Efficient and Inefficient Frontiers', International Journal of Research in Industrial Engineering, 2(4), pp. 15-25. Piran, F., Hosseinzadeh Lotfi, F., Rostami-Malkhalifeh, M. Data Envelopment Analysis Based on MPSS Efficient and Inefficient Frontiers. International Journal of Research in Industrial Engineering, 2013; 2(4): 15-25. 1Department of Mathematics, Islamic Azad University, Zahedan Branch, Zahedan, Iran. 3Department of Mathematics, Science and Research Branch, Islamic Azad University, Tehran, Iran.